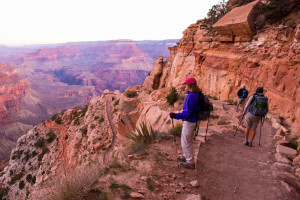 The Kaibab Trail is the Grand Canyon National Park's only properly sustained trail. It is located on the north rim, covering some fourteen miles of undulating track that leads to the Colorado River and the Bright Angel Campground. However, only overnight hikers dare tackle it due to the time needed to get to the rim and back. 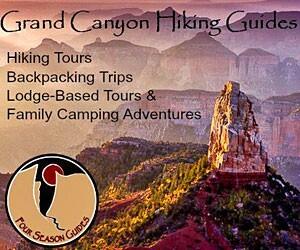 If you are looking for an overnight hiking trip, the Grand Canyon National Park's Kaibab Trail is the perfect choice. It covers a distance of twenty-eight miles (there and back) and leads to the canyon's main river, as well as a well-maintained, backcountry campground on the north rim. The Kaibab is very well taken care of, in fact the only one in the canyon's northern rim area, and fairly simple to navigate. The upper section is fairly steep, requiring a nearly five mile hike to its first port of call, Roaring Springs. From there it becomes easier, undulating slightly, but not getting anymore challenging. The trail requires at least a couple of days to hike, so most people backpack and set up camp in the Bright Angel Campground. 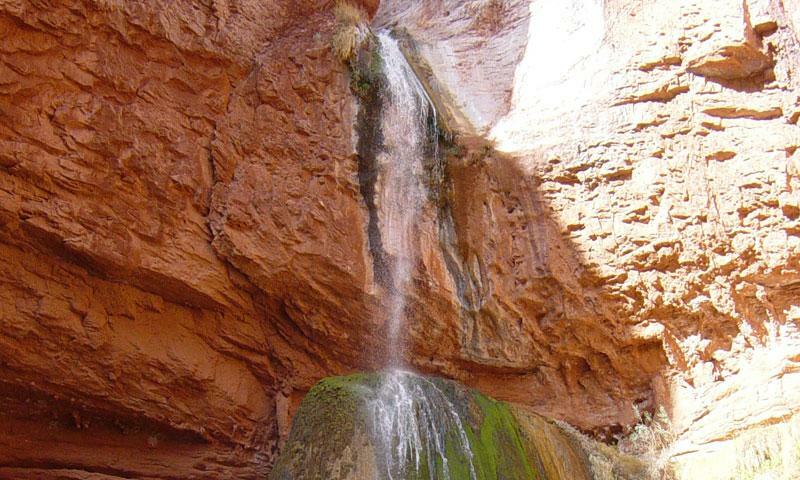 It is a scenic route, leading to many interesting and must see destinations, including the Coconino Overlook, Supai Tunnel, Cottonwood Camp and the Ribbon Falls. The entrance to the trail starts 2 miles after the Grand Canyon National Park Lodge, off the chief road through the park. There is plenty of parking, and further access to other trails like the Ken Patrick and the Uncle Jim. However, any overnight hiking will require a special backcountry permit and an overnight parking pass, though most people stay for much longer.